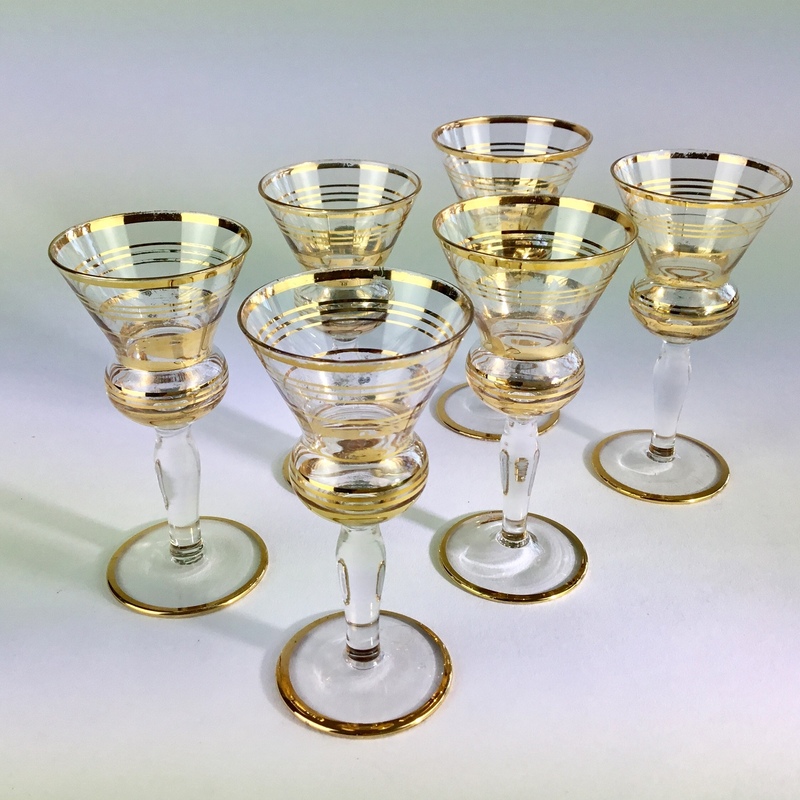 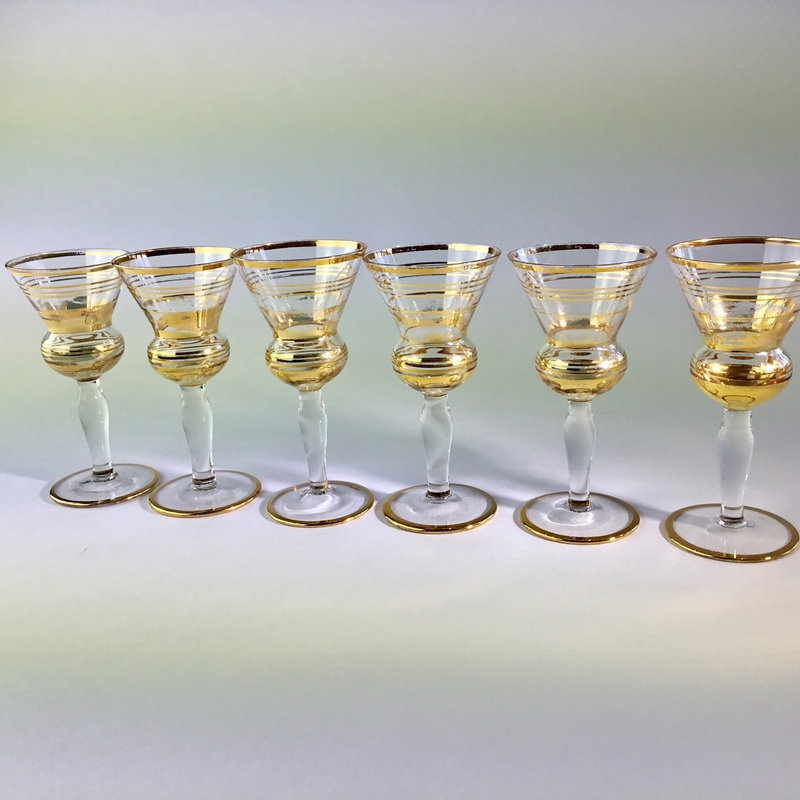 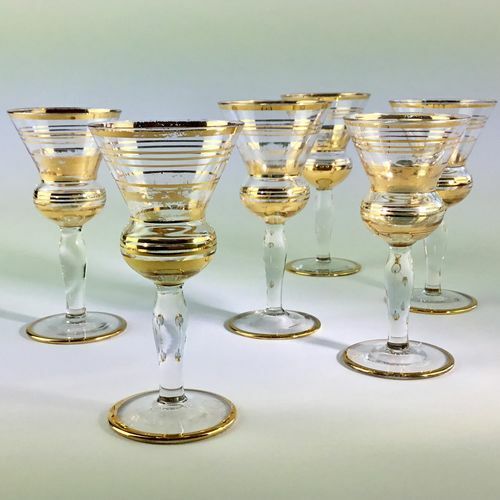 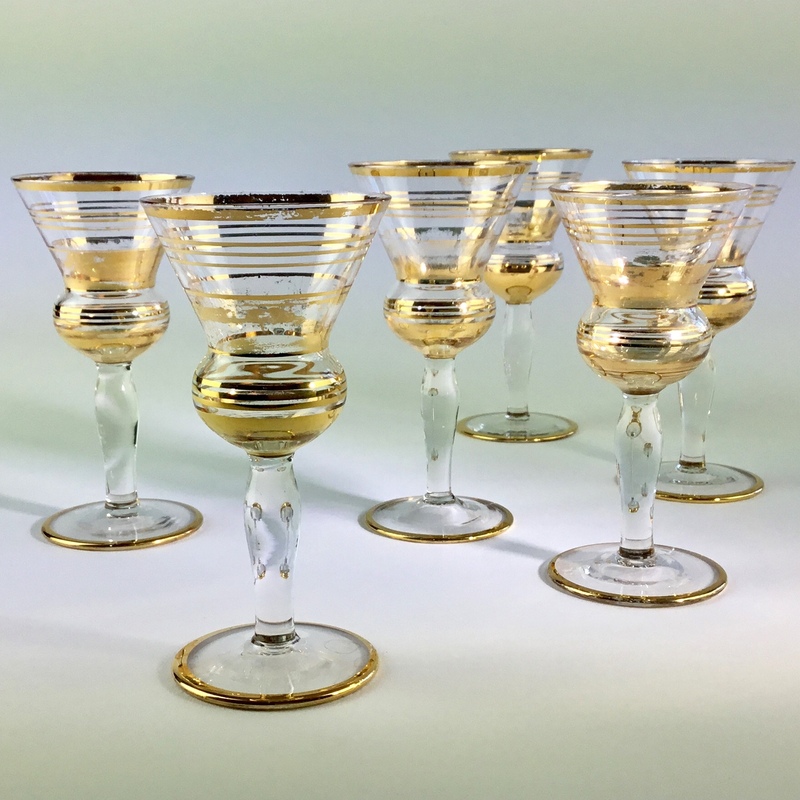 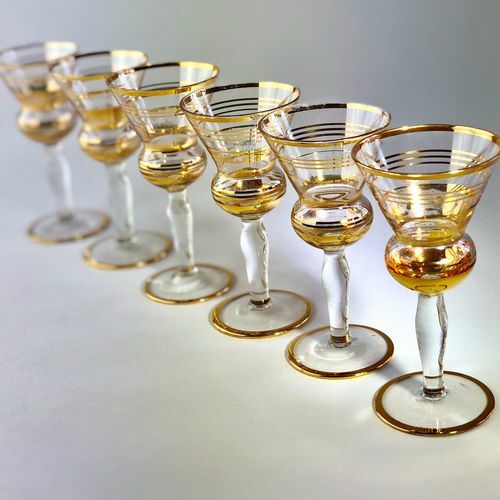 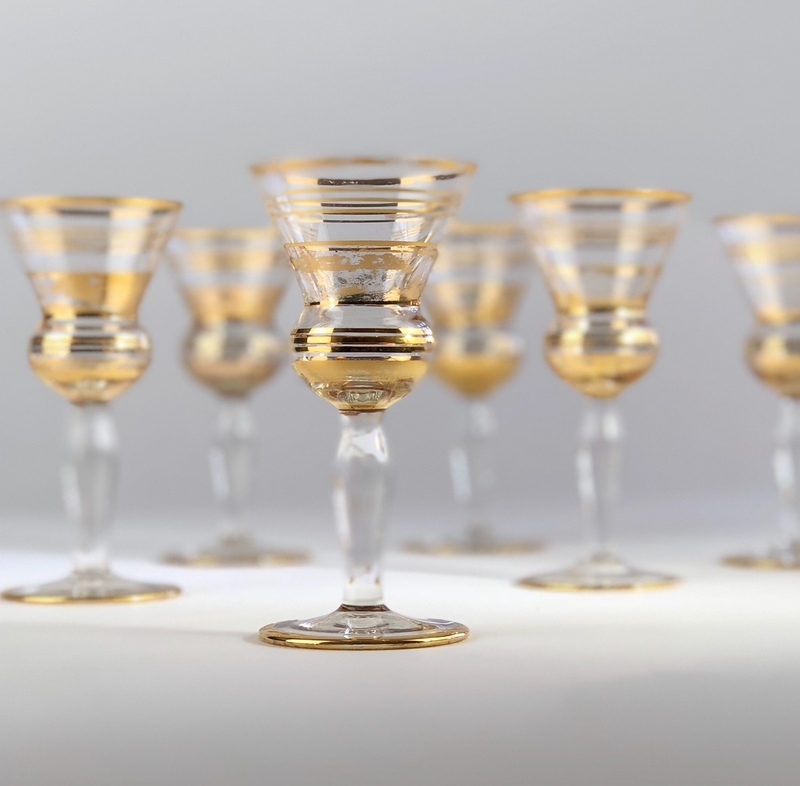 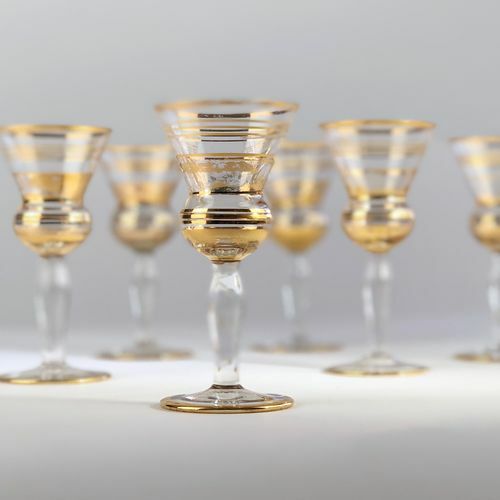 A fun set of gold rimmed thistle shaped liqueur glasses, Circa 1950s. 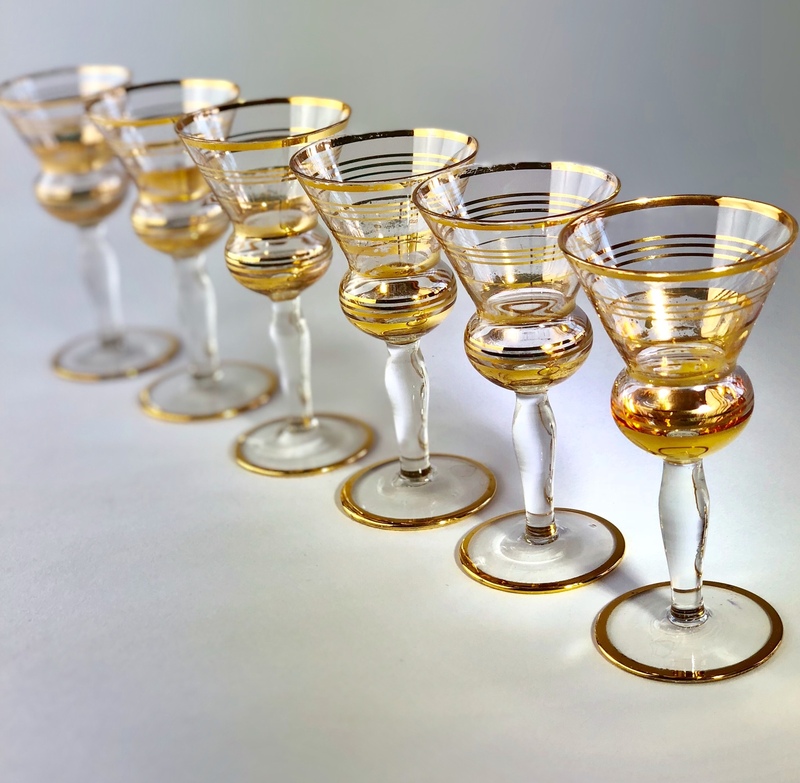 A little rubbing on some of the gold if offset by the gorgeous and unusual shape of these beauties. Cheers!